“I use Image Vital C Hydrating Facial Cleanser and splurge on Creme del La Mer Facial Moisturizer before bed," says Katie. 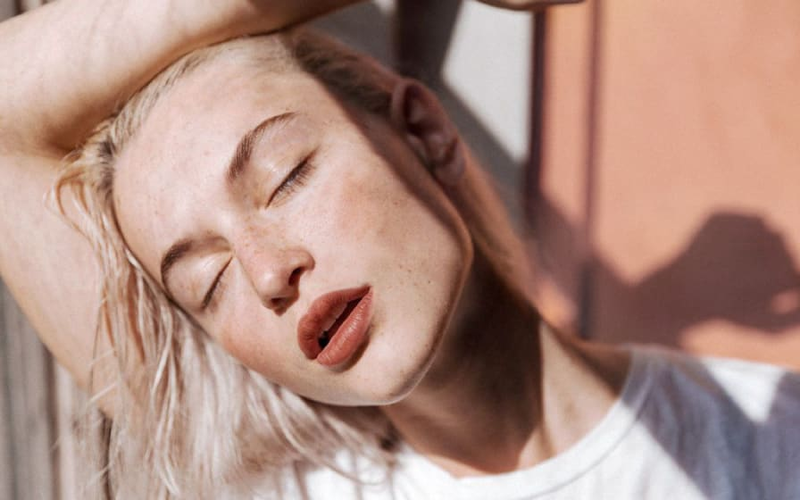 "I tend to use sheet or clay masks more in the summer months when I'm sweating more and traveling.” Katie takes a preventative approach to her nightly skincare routine to thwart blemishes and the signs of aging. “I never used to wash my face before bed,” says Katie. “Now I see it as a form of self care, rather than a chore.” She uses Kate Somerville Anti Bac™ Acne Clearing Lotion and InstaNatural Retinol Serum on alternating nights to minimize blackheads and promote healthy collagen production.